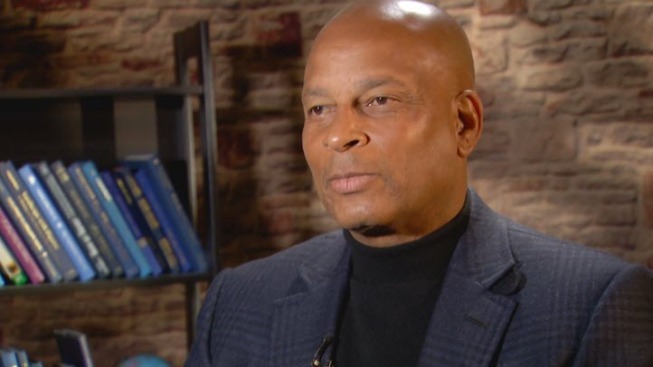 Football legend Ronnie Lott tells NBC Bay Area the next few days will be critical for his plan to keep the Raiders in Oakland. The biggest issue now is presenting a formal deal to Raiders owner Mark Davis, who continues to stay committed to Las Vegas, where a glistening stadium deal has already been approved. Casino mogul Sheldon Adelson has also pledged more than $650 million to the Las Vegas stadium. "In life what you try to do is you put something on the table that you hope he can't refuse," Lott said. "That hasn't been the case. And until we are able to do that, then that should be the posture that he should take. He's got something that is very valuable, and that is a bid in Las Vegas. He doesn't have that here." Lott has received the support of Oakland Mayor Libby Schaaf, who on Tuesday announced that she had reached a framework deal with a group led by the Hall of Famer. City and county leaders are scheduled to meet in a closed session Tuesday to discuss Lott's proposal. If approved, the plan will head to a public discussion the following week. Lott has reached out to several prominent Silicon Valley money men, including Oracle CEO Larry Ellison and Vinod Khosla, a venture capitalist who is also a co-founder of Sun Microsystems. Lott is also consulting with Gideon Yu, the point man of the Levi's Stadium deal for the 49ers. But the toughest part now in trying to keep the Raiders in Oakland, according to Lott, is that "time is running out."